The transition from extreme athlete to world-explorer isn’t necessarily a surprising one. I mean, what’s the difference between a mountain biker leaping over a man-made, intentionally back-breaking slope on home soil versus poking their nose over a near-vertical drop with the intent to pummel down foreign dirt, anyway? Tomato, Tohmado. Naturally, for Hans Rey, one of the most decorated, celebrated and influential mountain bikers of all time, taking his bike to the razor-edge of Mount Kenya, the rocky foothills of Himalayan valleys and the uncycled Incan trail to Machu Picchu was all an organic extension of his biking career after he retired from competition. On foot, these places are either challenging or wooze-inducing for most of us. If someone said to me, “Hey, want to ride the 12-inch trail along the Cliffs of Moher today? It’s just a 214-metre drop if you fall,” you can bet your bottom dollar I’d say “no way” with maybe an expletive or two in between. But it’s for this exact reason that Hans earned his nickname—Hans “No Way” Rey. And he comes by it honestly. 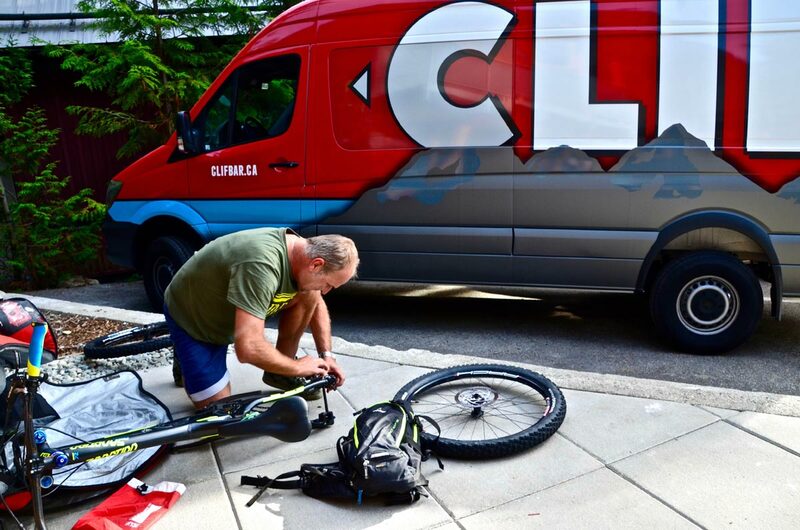 “People figured out really quickly, when they say ‘no way,’ I would at least give it a go,” he told Outpost in CLIF Bar’s basecamp at Crankworx Whistler, the premier international mountain-biking celebration. We chatted about how his career evolved from competition to exploration, how mountain biking became a language beyond words, and how his philanthropy is changing lives around the world. Oh, and we found out that, actually, when it came to that hairpin cycle along the Cliffs of Moher—of course, he did that too. Outpost: You’ve had a long and incredibly decorated career, but what was the motivation for you to switch over from competition to exploration? Hans Rey: Well, first, my background was trials, and we trials-riders were always the unwanted stepchild. It was really all about cross country and downhill. The trials was a quieter spectator sport at early competitions. I figured out quickly that I had these skills that were interesting but needed to put them in a place where people could relate to them. So I would just jump over a waterfall or over cars and obstacles that people would cause people to say, “Oh my god!” People all know the size of a car, so they can relate to it. 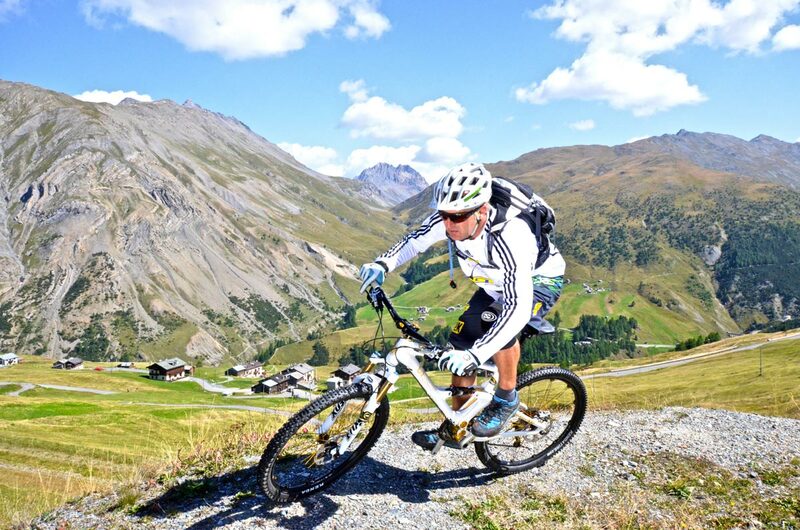 Then I started doing it on a regular mountain bike, not a specialty bike, so it sunk in even more. But eventually I was just burnt out from competing and the will to win was just not there. At that time, people were saying, “Oh, you’re nearing 30, so you should retire,” and I didn’t want to fall into that mold; I wanted to keep going. So then I thought, “These adventure trips could be a really cool thing.” I could be the Indiana Jones of mountain biking because I’m really interested in these mysterious places and ancient history. Not only did I always want to see places for their history, but I wanted to shed light on these stories, so I try to have a mission on every trip. It’s not always about the bike; it’s the quest for mystery and history. Sometimes there’s records involved, being the first to descend. Most recently, it’s been more about my charity. Sometimes it’s not much different that riding through this room and not touching any furniture, except that the furniture is not furniture… it’s a sheer edge. It’s not always so much skill, but more working up the nerve. OP: Was there any particular trip that you’ve done that’s had a big impact on you as a person? HR: Machu Picchu was one of my early adventures. It was special; not only did we have permission to do the trail, which is usually closed for bikers, but it wasn’t so touristy then so we got to go to these remote villages and you meet the local people. They looked almost skeptically at us, like, “Why would you want to bring a bike here?” But then you do some tricks in the village, and all of a sudden they get into it. Then people come out of their houses and start asking questions and it’s a really great icebreaker. Soon enough, you go over a pass or tell the locals about it and then they tell you about another pass you should do. It’s a great way to connect. OP: Is there anywhere you still want to go, somewhere really high on your bucket list? HR: I have a long bucket list. I’d love to go to Madagascar. I’ve never been to Alaska, that would be cool. There’s a lot of stuff in Alaska and Eastern Europe, like Russia; that could be interesting. We also just found out about an island in the Atlantic that’s just opening up an airport. It’s probably the most remote island, between the Ivory Coast and Brazil. OP: Do you have a favourite place to mountain bike? HR: Oh, it changes all the time. You can find really good biking all around the world, even in places like Florida. It doesn’t compare to Whistler, but it’s really a lot better than you’d expect. OP: Wheels4Life is your non-profit charity that provides bicycles to people throughout the developing world. Did it emerge as a sort of offshoot of your travels? HR: Yes, absolutely. You see all sorts of people who could need them and, of course, I wanted to give back. The sport has been good to me. I did a self-help seminar and then a community project and then I was like, “You know, I’m going to give 50 bikes to a village somewhere.” And then I realized it wasn’t going to stop at 50 bikes. We’re probably around 9,000 bikes now. OP: How do you see those bicycles being used? HR: You see one bicycle being shared by different family members and they’ve saved lives. In some cases, it’s shared by a few families and they all use it to get water or bring a grandmother to a doctor if she gets ill, or they go into the market in the next town. This one kid I’m going to go and visit in Kenya, he got a bicycle when he was 12. His dad had died, leaving his mother a widow, and he had two younger siblings. So he was then responsible to provide for the family. And the bike helped him get jobs like collecting firewood and bringing it to the market. I’m going back to visit in October because we’re going to try Kilimanjaro. We’ll have to push on the uphill, but the downhill will be easy.